This article can help you to remove Xmr-stak.exe Virus. The step by step removal works for every version of Microsoft Windows. Xmr-stak.exe Trojan is a virus that sneaks into your system and steals your computer resources. The parasite corrupts your entire system and takes control of it. It alters settings, modifies the Registry, and drops malicious files. It wastes no time and starts intensive processes which force your machine to mine cyber coins. Confused? It’s not as complicated as it may appear at first. The Trojan uses your CPU to perform accounting operations for a coin platform. In exchange for its services, your device gets rewarded with fractions of the coin. The longer it serves the bigger the profit. The money, however, is not transferred to you, but to the hackers’ cyber wallet. As for you; you are left with the side effects and the potential threats. That’s right! There are unwanted side effects and potential risks. The Xmr-stak.exe Trojan makes your system slow and unresponsive. It overloads your CPU to a point where it cannot get any additional tasks. The virus takes everything your device has to offer and leaves nothing for you. Its aggressive operations threaten to shorten your CPU’s life significantly. Do not become a sponsor of cyber thieves. Remove Xmr-stak.exe Trojan the first chance you get. Torrents, corrupted websites, fake updates, malicious software bundles. There are myriads of ways for the Trojan to reach your system. Xmr-stak.exe Trojan hides in the shadows and waits for you to let your guard down. Don’t make that mistake. No anti-virus app can protect you if you throw caution to the wind. Only your vigilance is powerful enough to keep your device secure and virus-free. Even a little extra attention can spare you an avalanche of problems. Don’t visit shady websites. Download software and updates from reliable sources only. And, of course, don’t interact with suspicious messages. Treat all unexpected emails as potential threats. Always take the time to verify their senders. If you receive an unexpected email, from your bank, for example, go to their official website. Compare the email addresses listed there to the suspicious one. If they don’t match, delete the pretender. You can also enter the sender’s address into a search engine. If it was used for shady business, someone might have complained. Take no chances. The spam messages are the number one virus distribution method. One moment of carelessness is all it takes for a virus to sneak into your device. Always take the time to do your due diligence. Xmr-stak.exe Trojan is a complete and utter menace. It makes a mess of your OS. It alters settings, drops files, and starts processes. The virus affects every component of your OS. It messes with essential directories, and as a result, it causes malfunctions and crashes. You may find yourself forced to reboot your system repeatedly. A simple restart, however, won’t fix your problems. Xmr-stak.exe Trojan loads together with your OS and is always running in the background. This virus is a nightmare. It makes your poor machine so slow that you can barely get a simple task done. Your apps take forever to load. Errors and alerts pop up out of the blue. That’s the nature of the Trojan. It overloads your CPU and eats up your RAM. It leaves nothing for you to use. Don’t put up with this situation. The more time this Trojan has, the worse your conditions become. Take immediate action. The prolonged mining causes harmful side effects. You face hardware damage and data loss. And that’s not even the tip of the iceberg. The Trojan consumes one other resource that is often overlooked. It also steals electricity. To carry out the intensive mining processes, your computer consumes an enormous amount of electricity. Bear this in mind when you see your next electricity bill. Xmr-stak.exe Trojan may double, even triple the amount you usually pay. Don’t put yourself through this torture. Remove the Trojan right now! Delete this invader for good! The Xmr-stak.exe infection is specifically designed to make money to its creators one way or another. The specialists from various antivirus companies like Bitdefender, Kaspersky, Norton, Avast, ESET, etc. advise that there is no harmless virus. If you perform exactly the steps below you should be able to remove the Xmr-stak.exe infection. Please, follow the procedures in the exact order. Please, consider to print this guide or have another computer at your disposal. You will NOT need any USB sticks or CDs. Attention! this can break your internet connection. Before you change your DNS settings to use Google Public DNS for Xmr-stak.exe, be sure to write down the current server addresses on a piece of paper. 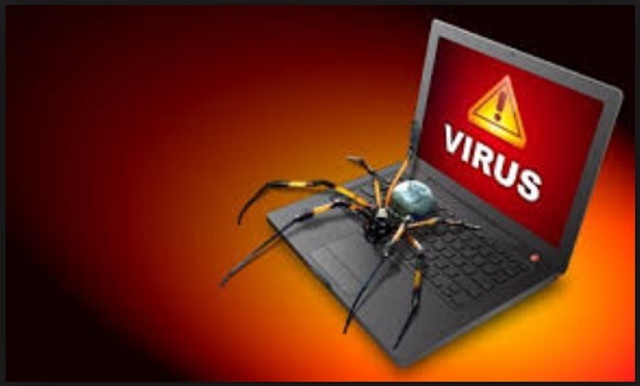 Please, have in mind that once you are infected with a single virus, it compromises your whole system or network and let all doors wide open for many other infections. To make sure manual removal is successful, we recommend to use a free scanner of any professional antimalware program to identify possible virus leftovers or temporary files. Xmr-stak.exe may have the ability to replicate itself, if not completely cleaned. This may require tracking down hundreds of files and registry keys. You can choose to use Spyhunter Professional Anti-Malware Program to deal with any infection that might be lurking along with Xmr-stak.exe! This article was published in Removal and was tagged trojan. Bookmark the permalink for later reference by pressing CTRL+D on your keyboard.